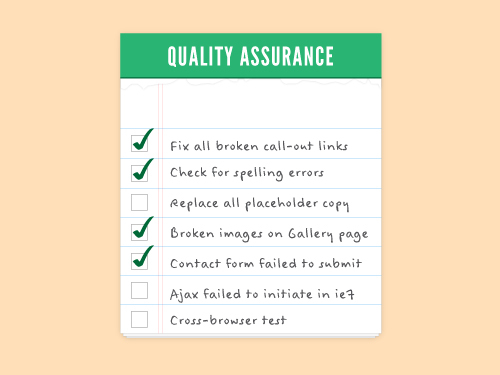 QA stands for Quality Assurance, and it's the process a site or product goes through to make sure everything's working right. 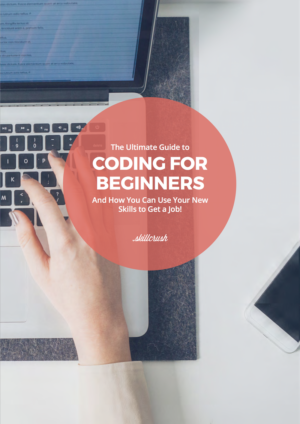 When a developer makes a program or web site, they tend to miss a few things. A link might go to the wrong page, or a button might not work right, or maybe the site looks a little crazy in Internet Explorer 6. If your users stumbled across those problems, they might be really confused! The QA process is supposed to catch any issues before they make it out into the real world. QA is done in all parts of the tech industry, and in each part of the industry it’s done a little differently. Usually a test version of the product is delivered to whoever is doing QA, and once they give it a thumbs-up it moves on to the customer. If there are problems, though, the program or website are sent back to the developer along with a ticket explaining what needs to be fixed. Quality Assurance for software projects like Excel or iCal means double-checking that programs work as expected, and that different programs can run at the same time without breaking your computer. When a computer program crashes and you are asked to “submit a crash report” that’s QA in action! QA is an especially difficult part of web development. Different web browsers display the same web pages differently, so looking at a page in each major browser – like Internet Explorer, Firefox and Safari – is necessary to make sure all your users get the same experience. That’s why when you report a bug on a web site they always ask what browser (and version) you’re using! In the big corporate world, you often find a whole group of people dedicated to “doing QA.” On smaller teams, though, you might be responsible for QA-ing your own software. That’s kind of like asking a writer to edit their own work; everyone has blind spots, so you usually end up with a lot more mistakes! Automated testing has been a boon to the software development industry. Instead of spending time and money on actual people to test your software, you write a program that tests your software! Sounds pretty Matrix-y, right?